Maori language edition. In the legend, Hinemoa lives by Lake Rotorua and Tutanekai on the island, Mokoia. Hinemoa falls in love when Tutanekai plays the flute, but Hinemoa's father considers him unsuitable. They vow to be together, and every night on the island,Tutanekai plays hi... read full description below. Maori language edition In the legend, Hinemoa lives by Lake Rotorua and Tutanekai on the island, Mokoia. Hinemoa falls in love when Tutanekai plays the flute, but Hinemoa's father considers him unsuitable. They vow to be together, and every night on the island,Tutanekai plays his flute to guide Hinemoa to him. 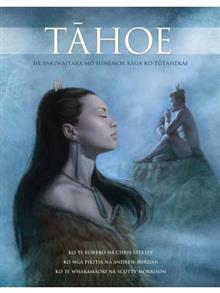 With no canoe, Hinemoa must swim the lake with mystical creatures in it to be with Tutanekai. The book is available in Maori and English language versions.